I get to talk on today’s blog about something that I loooooooooove to talk about and listen: EUROBEAT!! It seems like yesterday when I downloaded my first Eurobeat album (P.S: I mostly buy albums now, just look at my collection), enthralled by the deep electronic sounds and heavy guitar riffs in such songs like “Night of Fire” and “Like a Virgin”. Yes, there is a song named “Like a Virgin”. I too was curious if the eurobeat version was anything like the classic Madonna song. However, it is totally different. Nevertheless, I got into eurobeat thanks to a boom in the late 90s and early 2000s that made a major impact on the Japanese music industry. One such artist that helped to make an impression was the idol group HINOI Team, a girls group that covered a lot of eurodance songs. Actually, this month marks the 10th anniversary of HINOI Team’s formation and the release of their first single, “IKE IKE IKE”. I remember listening to one of my favorite HINOI Team songs, “Super Euro Flash”, and was in love with its upbeat tempo, the applicability of the synthesizer, and the fast pace. It was from the up-tempo beats and a dance routine called “parapara” that made eurobeat exciting, memorizing the songs musical contours easily by using arm movements. I wrote an extensive paper about the topic when I was taking a pop culture class at the local community college in 2008. I wish I could share it on this blog because it was a well-crafted piece (I might still have it, depending on the condition of my old college laptop that I left in America). The paper basically summarizes how eurobeat influenced Japanese pop culture and used many examples like parapara and popular artists like Namie Amuro, MAX, Ayumi Hamasaki, and others. One artist that helped to shape the sound of Eurobeat is Clara Moroni, who many Eurobeat fans know her under the pseudonyms like “Cherry”, “Virgin”, “Linda Ross”, and “Mela”. That is what makes Eurobeat a bit strange; most artists releases a song not under their real names but under a nickname. Maybe because it is easier to remember each artists or it creates mystery whenever a new Super Eurobeat compilation album is released every month. For Clara, I think she chose to release songs under different names as each name as had a different personality. Mela had the soft vocals, Cherry had the blazing vocals that was a perfect fit for fast-paced dance songs, and Clara Moroni is the rock side. Whatever the case is, Clara Moroni captured the Japanese music scene when she released the song “Help Me” under the name Mela in 1991. The song became an early eurobeat hit with the memorable chorus of “Cause Baby You Can Help Me.” During the same time, she was involved in the Eurodance group King Kong and The Jungle Girls, providing vocals to their signature song “Boom Boom Dollar”. Clara later released her debut album in Japan and Italy (Note: The Japanese Wikipedia says it was “Ten Worlds” but the Italian Wikipedia says it’s something else. Does anyone know what was the album’s name?). 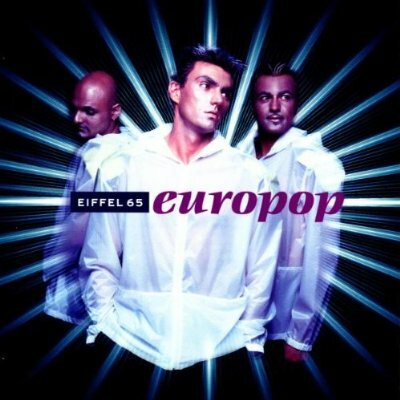 “Round N’ Round” first made its appearance on the album Super Eurobeat Vol. 66 in 1996. It’s high energetic dance beat attracted many. The Japanese music label avex trax even became a fan, letting the Eurobeat-flavored idol girl group D&D cover it a year later. Why does “Round N’ Round” appeal to so many? The high energy; it is a super paced song that is in the range of 150 BPM. It wouldn’t surprise me if the song is in 2/4 or in an even shorter measure as the notes sound like they were sped up. Nevertheless, the fast pace helps to create super-dance movements. If you check out D&D’s music video above, you can see there is not a moment in the dance routine slows that down or becomes unattractive. It’s always moving as the girls dances somewhat complex moves rapidly. As for the melody and vocals, it isn’t memorable as the pace. Maybe I am a bit bias because I like D&D’s version better than Cherry’s. Olivia Luftkin, the lead vocalist of D&D, had smoother and more strength controlling her vocal range that made the cover version more uniformed, understandable, and enjoyable. It is unlike Cherry’s vocals which were choppy with notes being vaguely connected. Another thing to point out is how the songs stretches of Cherry’s vocal range too much. 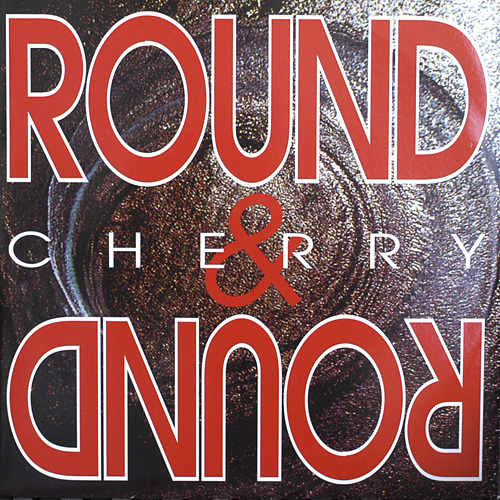 If you listen to “Round n’ Round” closely, you will notice that it is all sung in the upper part of Cherry’s range. It seems taxing on her as the notes sounds strained and tinny. I think she sounds a lot better when she uses her lower range in such songs like “Yesterday” and “Too Cool To Fall In Love”. She has better control in those songs then in “Round n’ Round”. I am not trying to argue that “Round n’ Round” is a bad song, it isn’t. I like the song as It’s “catchy” as the other songs in the Eurobeat discography. However, I think it’s not a piece that really displays Cherry’s vocal ability. Just listen to D&D version or any other songs by Cherry if you want to delight your ears with controlled vocals. If not, ignore the last paragraph and enjoy! “Eurobeat-Prime 3.0.” Eurobeat-Prime 3.0. Web. 24 May 2015.